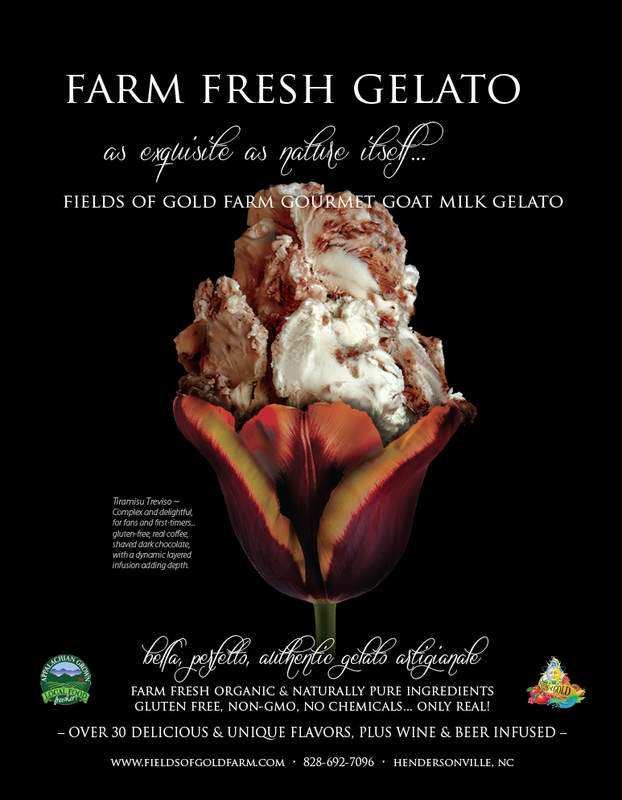 Handcrafted gelato made from farm-fresh goat milk, here locally at Fields of Gold Farm! And yes, it’s NOT goaty tasting… just good! You’ll love our more than 40 gourmet flavors… familiar, with just a little extra something exciting! Our gelato is special, and we really can prove it! We take the time to create the perfect gourmet melding of unique flavors using only the finest organic and premium ingredients. No cheap flavorings here! Our recipes are blended to perfection, giving the taste buds a multi-dimensional memorable experience that truly satisfies even the most discerning palates! Yummy… just like you were traveling the meandering streets of Italy, sampling ‘gelaterie artigianali’… the BEST of the REAL gelato, made with fresh local whole milk, adding only the purest and freshest ingredients, thus creating a dreamy, delightful treat from scratch daily. 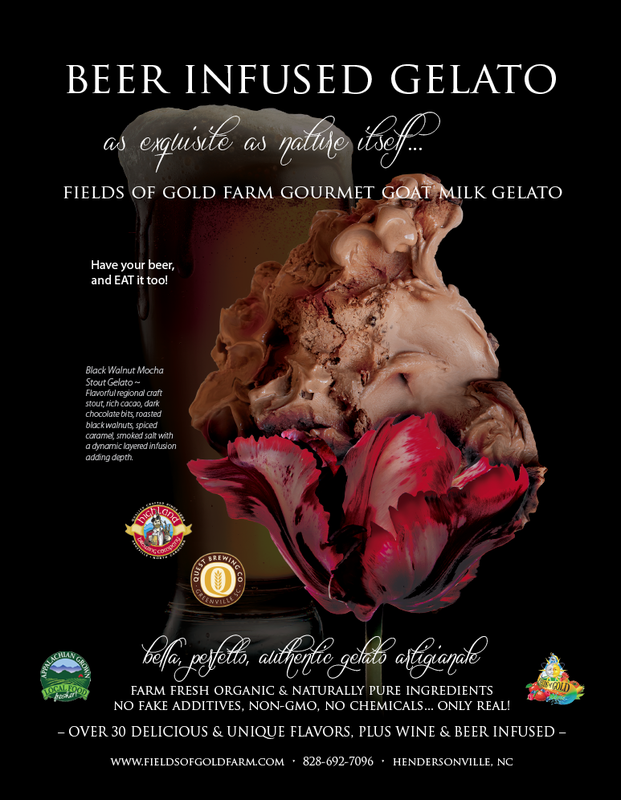 Fields of Gold Farm gelato is made fresh with whole GRADE A local goat milk, in small batches and slow turned for incredible creaminess! The butterfat content with goat milk is only 2.5% to 4%, making it low in fat (naturally healthy fat), with up to 75% less butterfat than regular commercial ice cream and only 1/3 the calories… it’s a heavenly indulgence that completely satisfies. Because there’s 50% less air in real gelato than ice cream, gelato is a much better buy. It has a creamier, denser consistency with more of a full flavor you’ll absolutely love… GUARANTEED! We make gelato with a gourmet flair… flavors like Chocolate Truffle Razmataz, Ginger Ginseng Vitality, Nut Butters Caramel Ganache Swirl, Chocolate Dipped Strawberry, Golden Chai, Toasted Nut Brûlée, Lime in the Coconut, Very Vanilla, Saint Paul Homeplace Blackberry, Quest Smoking’ Porter Trio, Highland Black Walnut Mocha Stout… over 40 kinds in our everyday lineup! 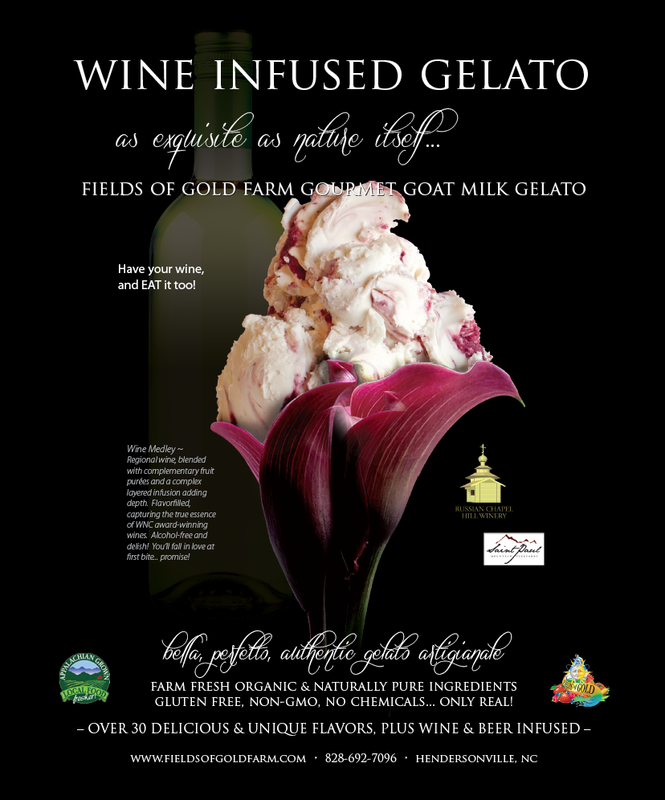 Our Wine-Infused and Craft Beer-Infused gelato lines celebrate our local wineries & craft breweries in Western North Carolina and in Upstate South Carolina! We are excited to work together! Just for peace of mind… all of our ingredients are gluten-free, non-GMO, plus no chemicals or artificial colors are added either. Fields of Gold Farm is passionate about creating great products that are wholesome, healthy and pleases the palate profoundly!!! We strive for great taste, using NO fillers, NO additives, NO preservatives, NO fake flavorings, NO cheap substitutes! Only the best premium organic and natural ingredients which makes heavenly gelato! And did we say… IT’S MADE WITH FARM-FRESH LOCAL GOAT MILK… AND IT’S NOT GOATY TASTING, JUST GOOD! Every flavor is delicious! Come taste the farm-fresh goodness for yourself! No guilt trips here! Look for us in the freezer section of local grocery stores (listed in our About Us section), plus area festivals and events with our mobile gelato cart ready to serve you. We also love creating custom flavors for weddings, private events and other gatherings! Give us a call for more info and ideas!